US cablenet History is preparing to air an eight-part show from Jane Root’s prodco Nutopia that explores the story of Jesus Christ. Jesus: His Life examines Jesus through those who were closest to him. Each of the eight chapters is told from the perspective of different biblical figures, including John the Baptist, Judas Iscariot and Jesus’ mother Mary. 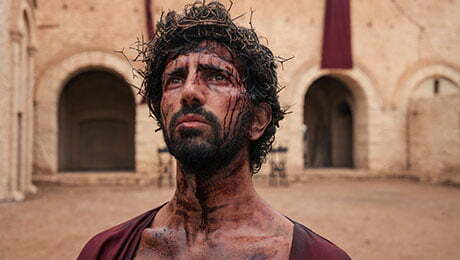 The show features both scripted drama and interviews with prominent religious and historical experts in an attempt to offer a complete portrait of Jesus. Nutopia’s Root and Ben Goold serve as executive producers, along with Joel Osteen and History trio Eli Lehrer, Mary Donahue and Evan Lerner. The series premieres two episodes back-to-back on Monday, March 25 at 20.00ET/PT, with the finale airing just before Easter. History parent A+E Networks holds exclusive worldwide distribution rights. History previously worked with Root and Nutopia in 2012 on 12-hour series Mankind: The Story of All of Us, which explores the history of the human race.